SANTA BARBARA, Calif. – Ergomotion has named Patricia Cooper to the newly created position of director of organizational development. The company said the addition of the 20-plus year veteran to its leadership team is a major step in beefing up its human resource recruitment, retention and training. Cooper most recently was a principal at Human Resources Management Solutions, a consulting firm, since 2012. She also was vice president of human resources and organizational development at Suneva Medical, a producer of aesthetics products, from 2014 to 2016. 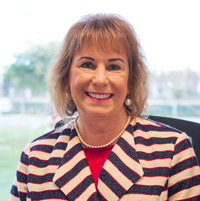 From 2008 to 2012, she was vice president of human resources, organizational development and customer service at Denmat Corp., a manufacturer of medical devices. Before that, she held several human resources and organizational development posts with medical device manufacturer Inamed Corp., culminating with a seven-year stint as global vice president of human resources and organizational development. She holds a bachelor’s degree in human resources from California State University-Long Beach, and a master’s degree in organizational development from Pepperdine University. Cooper is a member of the Society for Human Resource Management and is a member of the professional development design team of the Santa Barbara HR Association.